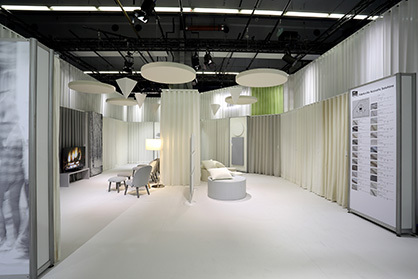 Trevira has expanded its fair booth concept for 2019. 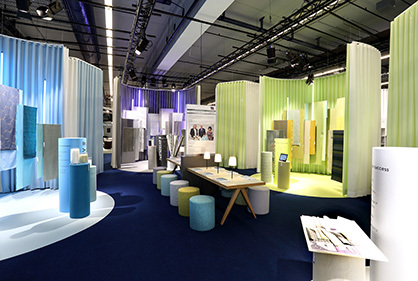 Together with 22 of its biggest customers, the manufacturer of high-quality, flame retardant polyester fibres will tell the story of the entire textile value chain. Starting with the basics - fibre production and yarn manufacture – the exhibition will then move on to show the colouring, weaving and warp and weft knitting stages, eventually taking the visitor right up to the textile editing. Meanwhile, Trevira’s customers will reveal their Trevira CS collections for home and contract textiles at individual stands, demonstrating their contribution to the value chain. Visitors will catch a glimpse of the complex and complicated world of textiles manufacturing, while also gaining an insight into how polyester fibres are transformed into attractive, functional fabrics conveying true visual and sensory appeal along with authentic value.